MC3+ Cleaner has been developed specifically to keep heating systems free from debris. Once added, its powerful formulation gets to work on breaking down magnetite and other sludge in as little as an hour. 500ml of MC3+ treats 125 litres or 15 single panel radiators. Introduce MC3+ to the system via the filling loop or radiator using a suitable injector, or via a MagnaClean® filter. For open vented systems MC3+ can be added via the F&E tank, remembering to remove sufficient water via the drain-point to ensure MC3+ enters the system circuit. Clean system as recommended in BS7593 using ADEY MagnaCleanse® and MC3+. For heavily sludged systems, ADEY MC5 RapidFlush System Cleaner is recommended. Cleanse, drain and flush thoroughly until the water runs clear. 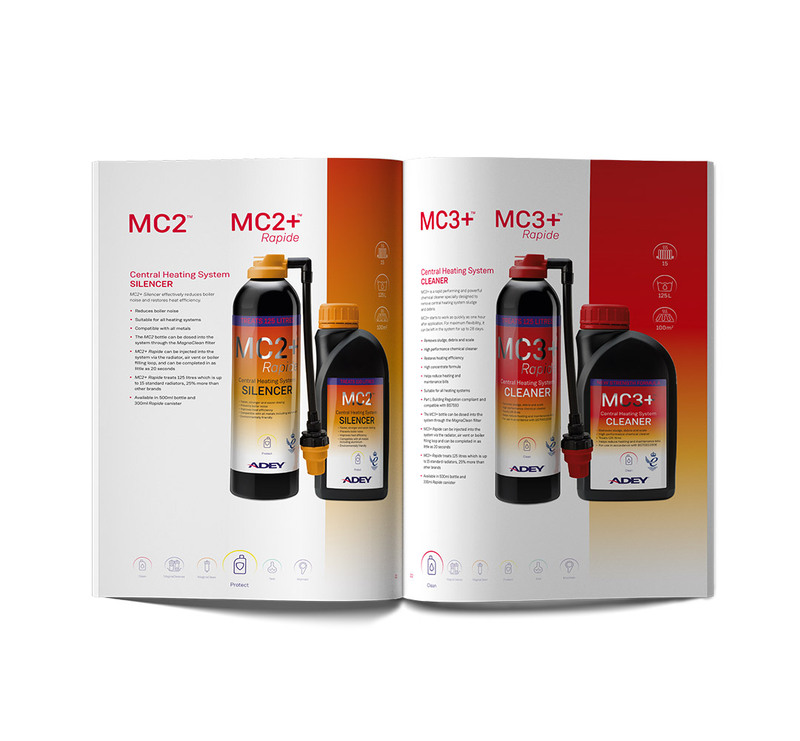 Refill the system and add the correct dosage of MC1 for the optimum protection against the build-up of corrosion and limescale.